The MS Seagull once protected the maritime borders of Yugoslavia as a patrol boat. The ship was later used to defend warfare attacks and blockades on the Croatian coastline. In 2014, the vessel was fully refurbished and now offers guests an unforgettable small cruise experience. 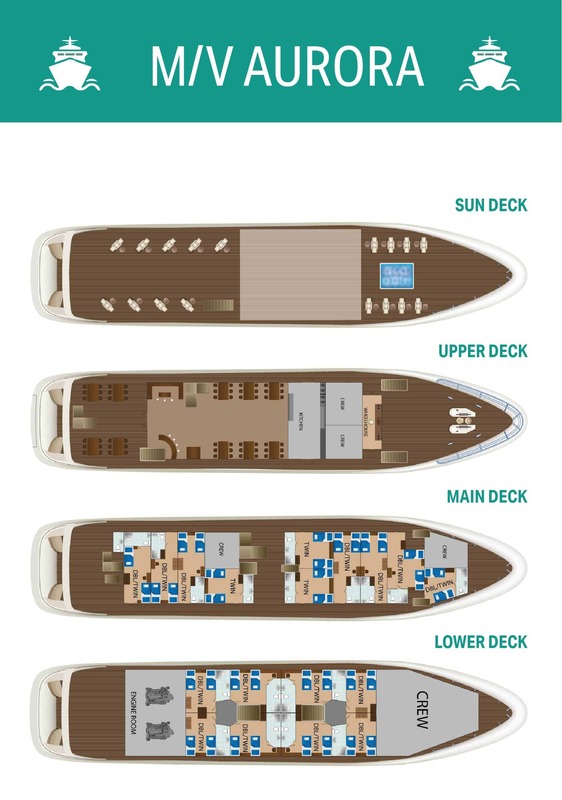 There are 18 air-conditioned, standard twin/double cabins arranged over the main and lower decks, each providing a spacious and comfortable environment for relaxation. The ship’s public areas include an elegant, modern salon-restaurant and a bar and cosy lounge. There is also a sun deck featuring sun loungers, and a swimming platform with sea access ladders. The MS Seagull was built in 1982 and was initially used as a patrol boat, to protect the maritime borders of what was once Yugoslavia. The vessel was completely refurbished in 2014 and now features comfortable and spacious communal public areas and 18 standard air-conditioned cabins. Guests can relax in modern en suite cabins that boast main deck windows or lower deck porthole views. The salon-restaurant is spacious and air-conditioned and comfortably accommodates up to 32 guests in a single sitting. 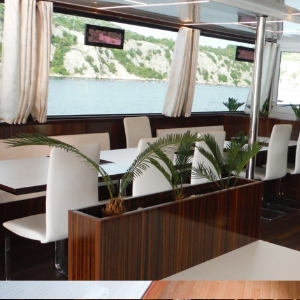 There is also a bar and lounge, and a large sun deck, plus a swimming platform on the stern. The fully refurbished MS Seagull boasts 18 air-conditioned standard cabins offering flexible twin and double bed configurations. The comfortable and spacious cabins are arranged over the main and lower decks and include a private en suite bathroom with shower, a wardrobe, in-room safe and hairdryer. The modern décor is complemented with light coloured wood styling and neutral two-tone linens. Cabins on the main deck have large windows offering spectacular scenic views. Lower deck cabins have portholes. 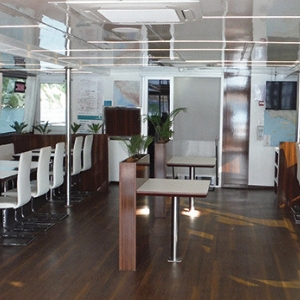 On board the refurbished MS Seagull guests can relax in well-equipped and spacious public areas. The air-conditioned salon-restaurant features a modern layout with dining tables and chairs that comfortably accommodate all guests in a single sitting. Dark woods are complemented with elegant white furniture. Views from the large panoramic windows are simply breathtaking. There is also an interior bar and comfy lounge zone. 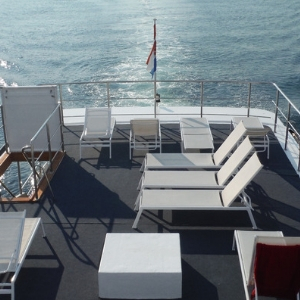 The sun deck features an array of relaxing sun loungers for optimal exposure to the sunshine. To the rear of the swim, the swimming platform offers easy access to the sea during scheduled swim stops.